APAARI will be organizing a “Regional Expert Consultation on Agricultural Biotechnology – Scoping Partnership to Improve Livelihoods of Farmers in Asia-Pacific” at Bangkok on May 29-31, 2018. The purpose of the Expert Consultation is to provide a platform to explore initiatives and mechanisms of sustainable partnership and networking for capacity and institutional building, developing regulatory framework, communication strategies, enabling policies for application of biotechnologies. It will also provide an opportunity for scoping the new and innovative ways of making investments in agricultural biotechnology to improve the livelihoods of farmers in Asia-Pacific region. The expected output of the Expert Consultation is to develop the sustainable partnership between public and private sectors for knowledge sharing on experiences and best practices, and AR4D collaboration to harness the potential of agricultural biotechnology in the region. New institutional public-private partnerships can also be established for co-investment in agricultural biotechnology through innovative funding mechanisms. The general scope of the symposium is aimed at recent advances in all fundamental and applied plant cryopreservation, as well as to promote and support the global efforts of conserving plants and to create an interactive opportunity for scientists and professionals involved in research, education and industry on a global scale. The objective of the Symposium is to promote the interaction between scientists and experts of both public and private sectors. 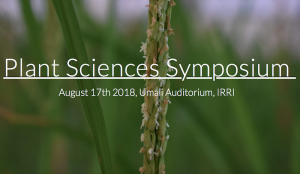 In August 2018, the International Rice Research Institute (IRRI) will host the Plant Science Symposium in Los Baños, Philippines. The theme of the symposium is “Same Field, Better Yield – Integrating breeding and crop management solutions for future food security”, and would focus on harmonizing breeding and management practices to improve productivity and ensure food security. 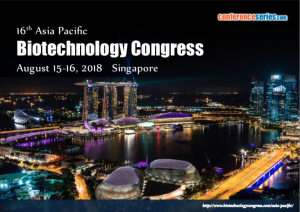 The goal of this Conference is to unite the international biotechnology community to take a fresh look at the key topics and challenges that our field faces. The theme of this Conference is “Transcending the current frontiers of biotechnology”. As practitioners, scholars, and citizens there is a need to work together to explore the possibilities and plan strategically, the collective growth of our science, its applications and practices. This event hopes to achieve advancements in many facets of this multidisciplinary field, from agriculture and bio-manufacturing, to ground breaking cancer treatments and medicines, to even information technology. 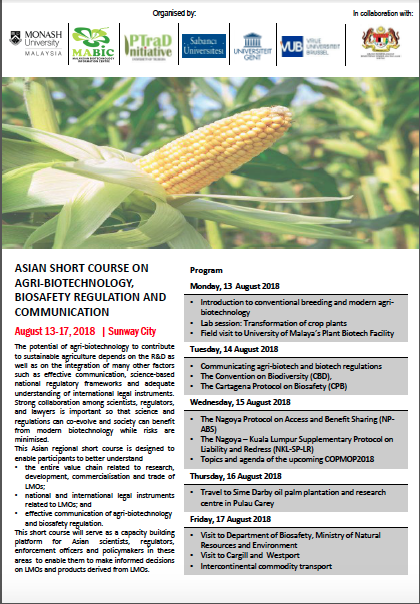 •effective communication of agri-biotechnology and biosafety regulation. This short course will serve as a capacity building platform for Asian scientists, regulators, enforcement officers and policymakers in these areas to enable them to make informed decisions on LMOs and products derived from LMOs. This is the second International Research Symposium organised by SLCARP. 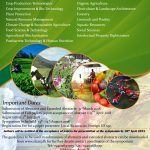 It will be held at the Sri Lanka Foundation, Colombo, and will cover a wide range of themes, from crop production technologies to plant protection, forestry, aquatic resources, biotechnology, food science and many more. IHC2018 provides a platform for scientists, technicians, students, consultants, engineers, extension agents, growers, industry, trade and consumer organisations, policy makers and many other professionals having an interest in horticulture. It is heavily focused on research and innovation and will have training components related to various fields of horticulture. 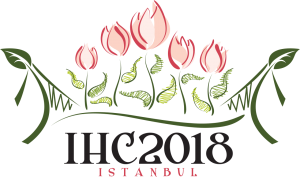 The motto of IHC2018 is decided as ‘Bridging the World through Horticulture’. 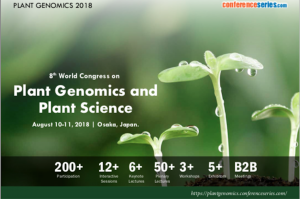 Plant Genomics 2018 brings together domain experts, researchers, clinicians, industry representatives, postdoctoral fellows, and students from around the world, providing them with the opportunity to report, share, and discuss scientific questions, achievements, and challenges in this field. The event focuses on aspects such as breeding, molecular marker development, crop/ trait improvement, disease resistance, epigenetics, evolution studies and pathology as well understanding tools to overcome barrier and enable successful data analysis and management. 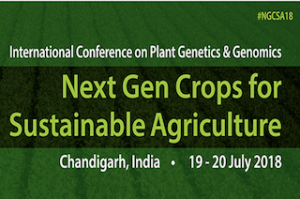 Presentations concentrate not only particular to plant genomics but also crop and forestry research ranging from wheat, barley, maize and rice to potato, tomato, Arabidopsis, biofuels and various fruits. 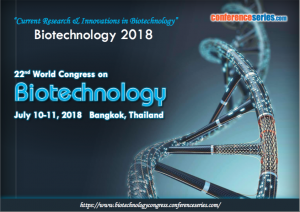 This international gathering (Biotechnology 2018) anticipates hundreds of delegates including keynote speakers, oral presentations by renowned speakers and poster presentations by students besides delegates around the world. 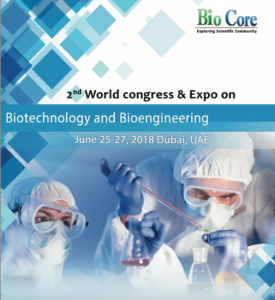 This conference creates an ideal platform to share expertise addressing current advancements involved in Biotechnology.